The new Sealine C430 is a dynamic and sporty motor boat that is thrilling in design and driving experience. 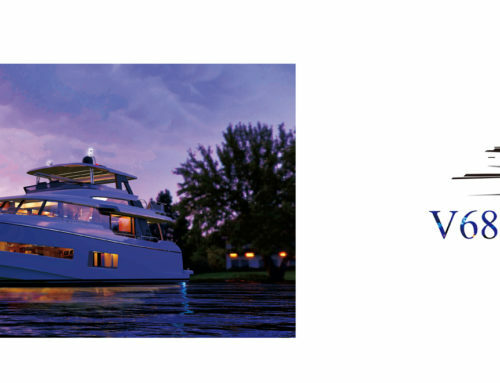 On 43 feet she astonishes with up to three double cabins, various technical refinements and visual highlights. Best performance and handling thanks to IPS engines in standard Progressive design and plenty of light in the saloon through a large glass roof and floor leveled windows. Best handling via the Smart Boat System (SBS). All systems are operated by a fixed touch screen display or with any connected tablet and smart phone. 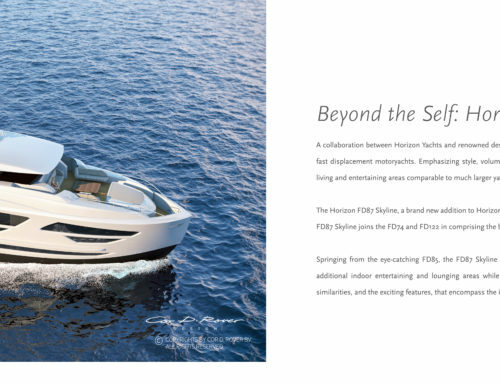 The hull of the new Sealine C430 was developed according to the latest designs and is unique in its class. Through the steep stem we have transferred the wave-piercing concept from offshore yachts to a motor boat whereby big waves are cut from the lower part of the stem. This increases the fun factor, comfort and safety at sea. Combined with the powerful Dead Rize, which is characterized by a deep V keel, the new Sealine C430 is ready for all waters. As is customary for Sealine, particular emphasis is placed on a robust fuselage. As both floor structure and bulkheads are laminated, the new Sealine C430 achieves a high stiffness which is maintained in all situations. This stiffness allows the new Sealine C430 to be equipped with the largest hull, roof and saloon windows in its class. The new Sealine C430 has a total of 26 square meters of window area, which creates an indescribable feeling. In combination with the high-quality materials the new Sealine C430 becomes the perfect cruising boat. The new Sealine C430 is equipped with two IPS 400 engines from the market leader Volvo Penta. With the joystick control, the boat is very easy to handle in any situation and can be maneuvered into any box in the harbor. The larger IPS 500 and IPS 600 engines accelerate the new Sealine C430 up to 33 knots and guarantee pure driving pleasure. A large glass display on the dashboard shows all information regarding the system and navigation. The full glass windscreen also offers a clear view of the water. Through the Humphrey Interceptor trimming system the bow is kept low in all driving situations. This means not only improved visibility to the front and lower fuel consumption, but also allows a quicker transition from displacement drive to gliding. Driving the new Sealine C430 means power and torque, while enjoying the noble workmanship of the finest materials. The two bathrooms are equipped with large skylights, that allow ample of natural light in the heads. The saloon of the new Sealine C430 is perfectly unique. A large U-shaped sofa invites you to relax and the ground-level windows allow for an unobstructed view of the water. 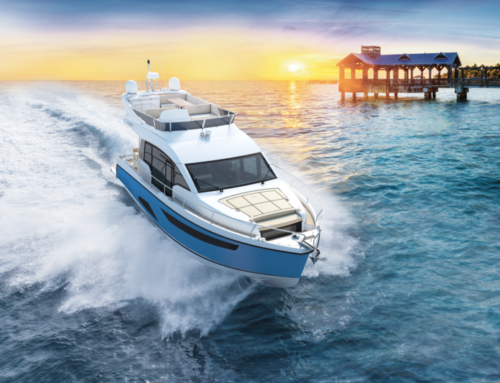 An electric sunroof filled with skylights converts the Sealine into a sporty convertible and the saloon into an open-air lounge. 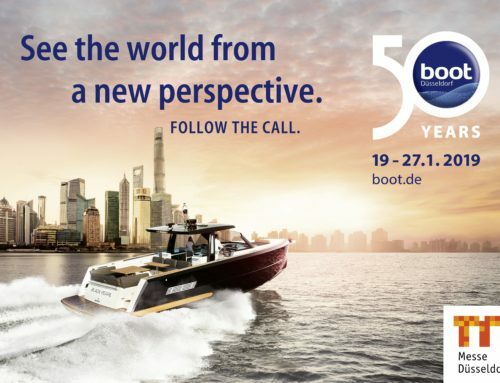 A sliding door at the helm allows easy access to the bow and a perfect view while docking. The large pantry aft of the saloon is at the center of the action. When the glass elements to the cockpit are opened, the pantry turns into an outdoor kitchen, connecting the exterior and interior to one large loft. Whether sun terrace or evening dinner, the new Sealine C430 is fitted with three lounge areas, providing the perfect ambience for every situation. The stern offers the best location for a barbecue dinner or a wind-protected sun terrace with an L-couch and an electric sunroof. On the bow, the reclining and seating areas complement each other, forming an additional lounge. 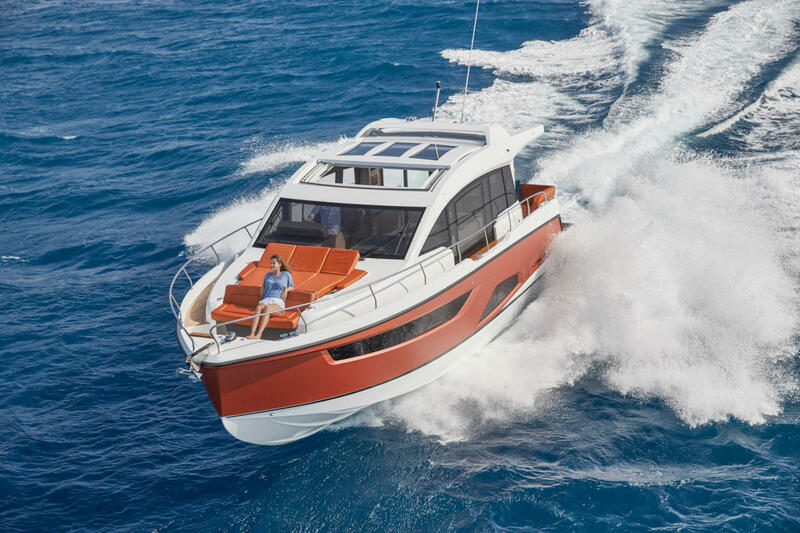 In poor weather conditions the new Sealine C430 convinces with a comfortable U-shaped sofa and floor leveled windows in the saloon, which guarantee a clear view of the sea. Every new Sealine C430 is equipped with the Smart Boat System. 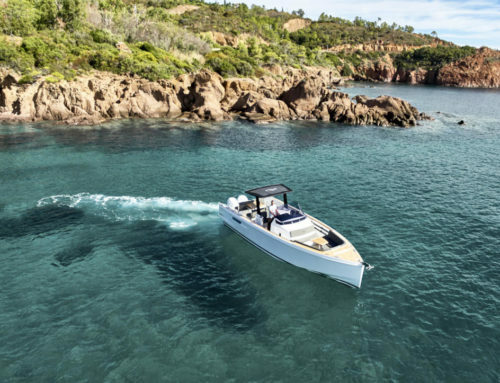 It allows the owner to control the systems of his boat via the plotter or a tablet and retrieve information such as fuel level or water temperature. Due to the ultrasonic sensors, installed in the tanks, all tank contents are displayed exactly to the point.